The IMs is similar in size and basic dimensions to a typical midsize sedan, but with unconventional “cab-forward” proportions, a stretched wheelbase, a low roofline, and reverse-opening rear doors. Design details include gold-anodized aluminum roof-rail trim, holographic taillights, and the use of geometric graphic accents inspired by a traditional Japanese pattern called Asanoha. 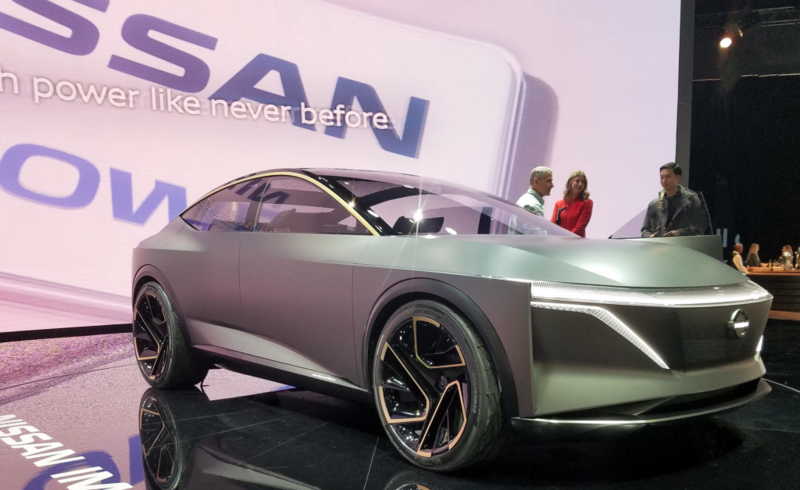 Nissan says the IMs is defined by its “pure electric-vehicle identity,” and lists some impressive specs. 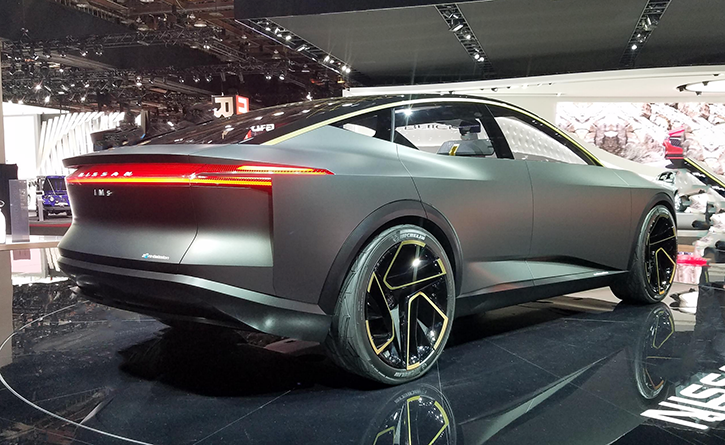 The powertrain consists of dual electric motors and a fast charging 115 kWh battery, which produce a claimed 483 horsepower and 590 pound-feet of torque, as well as an estimated driving range of 380 miles on a single charge. 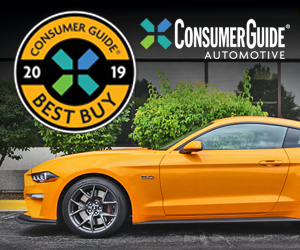 High-performance all-wheel drive, adaptive air suspension, wing cameras in place of exterior rearview mirrors, and manual or autonomous driving modes are among the listed features. When the vehicle is in autonomous mode, the wing cameras fold in, the headlights and rear combination light turn blue, and the front and rear lighting blinks continuously to notify pedestrians and other drivers of the vehicle’s autonomous status. The interior was envisioned as a both a driver-oriented cockpit and an area for socializing. 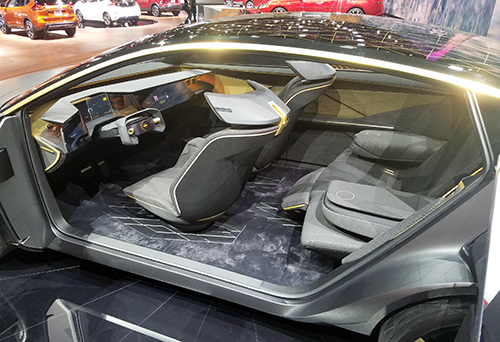 In autonomous mode, the steering wheel retracts and the front seats pivot inward to face the rear seats. The seating layout is an unusual 2+1+2 arrangement, with two seats in front, one executive-class “Premier Seat” with ottoman in the rear center seating position, and two slim folding rear seats on either side of the Premier Seat. Other futuristic interior technology features include an “interior sensing platform” that uses cameras and sensors to analyze the driver’s facial expressions a body posture to determine his or her fitness for driving, an Invisible-to-Visible 3D interface with “Omni-Sensing” information displayed (such as traffic-jam data and suggested alternate routes) displayed in a virtual-reality format, and even a virtual “passenger” in the form of a 3D augmented reality avatar inside the car. Clearly, most of these features won’t see production-vehicle reality any time in the immediate future. However, the IMs provides an interesting glimpse of the general design direction that future Nissan production models might take. 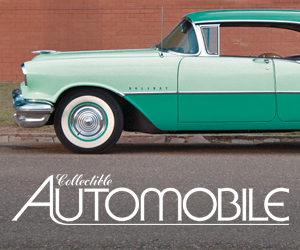 It also serves as a statement of the company’s philosophies on tomorrow’s personal mobility. Kudos to Nissan for continuing to create free-form thought exercises like this one. Written by: Damon Bell on January 21, 2019.